What are the basics of comprehensive financial planning? All great financially successful people accumulated wealth because they had a fully polished comprehensive financial plan in the background! 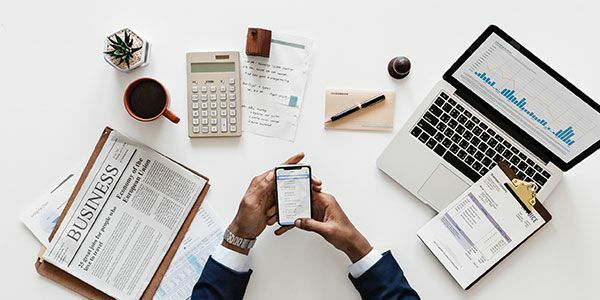 You must’ve already heard this phrase before, but definitely many of us don’t quite really know what does a comprehensive financial plan really mean! Well to break the ice, a comprehensive financial planning is a detailed approach to understand your finances inside out. The plan will count all your loopholes and financial mistakes you have committed till date! The plan will estimate your assets, verify your debts, and calculate your net worth! After all these things are taken care of, you will plan your future finances accordingly! This whole setup summarizes up as a well-groomed comprehensive financial plan! Well, this is the first thing you got to do! Understanding the past mistakes and loopholes, and then making it sure that they are not being repeated again! Your past mistakes could be many, and those only you can figure out! The best way to point out is to first track your impulsive spendings and all the unnecessary purchases you have made! These could also be using credit cards recklessly, or diving deep into payday loans for momentary happiness and then going underwater! There could be many more. Like you could have skipped on important insurance policies, or probably got yourself insured the wrong way! Many people, who have done this sort of financial planning, have seen that they bought loans in the past that really landed them into big troubles of paying them off later! Examples could be taking out a hefty mortgage when all they needed is 1BHK! Actually, there are so many things to point out! So, once you are done with this part, let’s move on even further! You should never ever ignore your debts while doing your financial planning! According to the comprehensive analysis, you can’t plan your savings, investments, or achieve your financial goals, unless you are done scraping out your debts! Get yourself a proper repayment plan for your debts! First, see what type of debts you have. A well appreciated secured debt, like a mortgage, is practically a good debt if you consider it as a part of your investment portfolio! However, unsecured debts are what you should really be worried of! These include credit cards, payday loans, personal loans and so on! Even your auto loan can be paid off if you return the car to your lender! But credit cards and all? No way..
You got to repay them all by yourself! Hence, see how to get out of debt, with the help of debt consolidation, debt settlement, or simply a DIY debt repayment plan! Once you have cleared your debt liabilities, it’s time to get yourself financially secured! As you have taken care of your debts, you should now focus on the different insurance policies you need. The 4 basic policies are life insurance, health insurance, home insurance, and car insurance! If you are already covered under all these policies then it’s good! Else, you should really buy these policies before it’s too late! Remember that fighting unnecessary expenses is a lot easier when you have an insurance policy by your side! Plus a whole life insurance acts as a big time investment! The money you put down in your policy appreciates on interest, which you can take out once the sum gets matured! This is the final touch you will be giving to your comprehensive financial plan! You have to calculate your net worth so that you can plan your savings and investments accordingly! How to do that? Pretty simple! First, estimate all the assets you have and then subtract your total debt amount! Your assets will include all the things you own outright! This also means your total built-in equity for any type of secured debt! You should also count your personal savings amounts in your net worth, and any other sure shot investments that you have! These include your whole life insurance amount, annuities, or certificate of deposits, etc! Now your plans should be to increase your savings even more and assign targets. You can stabilize your savings portfolio in many ways! Like, you can try out other investment vehicles, like the stock market, or start investing in real estates and jewelry! So, ultimately, whatever you do, you should stick onto your plan and increase your net worth accordingly! We hope to see you harness a better financial future ahead!